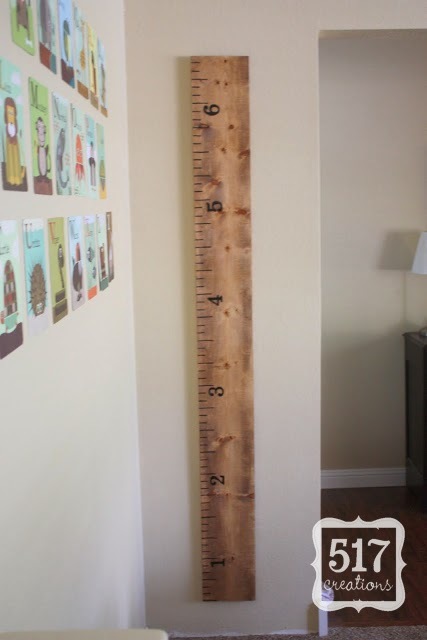 One year ago today I published my most popular post (with over 60,000 page views), my PBK Knock-off Ruler Growth Chart. It's been fun to see this project pinned on Pinterest and re-created on other blogs. I thought I'd re-post it today, with a little update to include some of the questions that I have been asked. 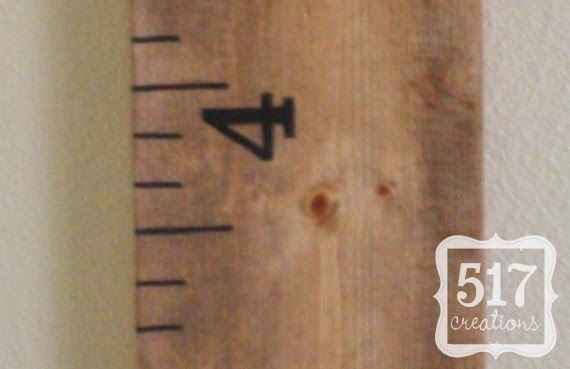 What kind of pen do you use to label the ruler? We have found the Faber-Castell Pitt Artist Superfine Pen to work really well! It doesn't bleed and is permanent when dry. Here's a link to find them online. (http://www.joann.com/joann/catalog/productdetail.jsp?CATID=cat1125&PRODID=zprd_09653841a) Whatever pen you choose, be sure to test it on the back of the ruler to be sure that it won't bleed or smear and ruin all of your hard work! 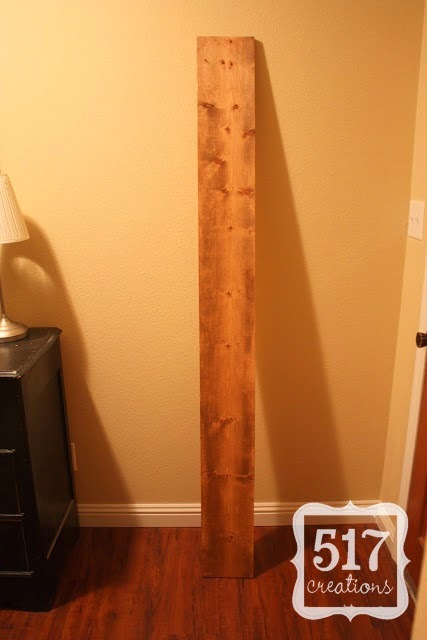 What did you use as a "clear coat"? I made one of these too after being inspired by your post. Then, I made one as a Christmas gift for my niece and nephew. Thanks so much for the inspiration! I enjoy your blog!